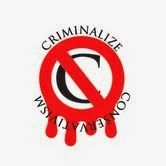 Criminalize Conservatism: Looking For Someone To Finally Speak The Truth? Looking For Someone To Finally Speak The Truth? You say you're tired of all that peace and prosperity and want someone to finally speak the truth to you? What is "truth," after all? We agree and sent our crack team of reporters out into the blogosphere to find someone who would finally speak the truth to all of us...and we found that's there's a group called the "Conservative Movement" that just might fit the bill! ...because for all good Conservatives, the truth is relative! And what have we learned today, kids? That if you're looking for someone to finally speak the truth to you, the search still goes on. Does anyone remember the House Un-American Activities Committee that the Cons miss so much? It smeared actors, singers, writers, and other innocents before the public woke up, threw up, and finally saw the last of it. But ask any Con if they'd bring the HUAC back and they won't even hesitate with a loud, "You betcha!" Unfortunately for the rest of us, Conservatives believe that the rich must rule whether of not we live in a democracy. AND they also believes that there's no moral or ethical problem in lying, deceiving, stealing, and killing - just like any other criminal syndicate.